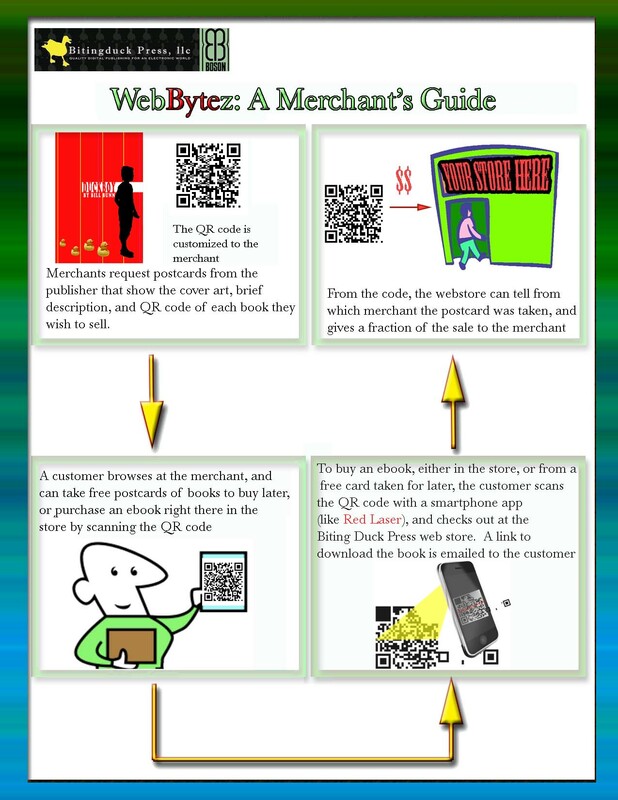 Web Bytez (patent pending) is a new way to sell e-books anywhere–in indie bookstores, coffeeshops, on the lawn at a literary festival… You don’t need a cash register, and there are no up-front fees and no inventory! The graphic below explains how it works. We’re currently establishing partnerships with various merchants to roll this out. Want YOUR STORE HERE? Write notifications-at-bitingduck press dot com.